Less Bland Productions is a Victoria-based media production company dedicated to creating high quality television series and feature films for distribution in Canada and beyond. We are a member of the Canadian Media Producers Association. Leslie has worked as an award-winning producer, writer, director, and performer, contributing to over 150 professional projects in film, television, radio, and live theatre. He is an alumnus of the Trans Atlantic Partners training and networking program in international co-productions. Recently, Leslie produced and directed the first season of the web sitcom series Ollie and Emma for Telus Optik, which has since been acquired by FNX in the USA, and the The Wine Guys: Grape Escapes, a documentary series, shot in Italy and Spain, covering the quest of wine importers to bring fine wines of the world to North America at a reasonable price. He previously produced and directed the all-female stand up series She Kills Me for APTN and produced and directed Gone South: How Canada Invented Hollywood, a feature length documentary, for theatrical release and broadcast on Super Channel. Gone South features the talents of Howie Mandel, David Shore, Neve Campbell, David Foster, Alex Trebek, Shannon Tweed, Tommy Chong, the late great Monty Hall, and many other Canadian celebrities. This documentary was an official selection to 22 film festivals in Canada, the US, and the Cayman Islands, was featured on Air Canada flights, and was recently acquired by the specialty channel Hollywood Suite and Discovery Networks. Currently he is directing and producing the documentary Dust n’ Bones for Telus Storyhive and APTN. Leslie served as the Artistic Director of Kaleidoscope Theatre in Victoria 2001 – 2010, receiving high critical acclaim, setting new records for attendance and touring the company’s productions internationally. During the late 80’s and early 90’s, Leslie was co-founder and Executive Producer of Edmonton’s Stage Polaris. During this time, he oversaw Polaris’ growth from conception to becoming the second largest theatre company in Edmonton with an annual attendance in excess of 100,000. During Leslie’s last year with Stage Polaris, it won more Sterling Awards than any other Edmonton Theatre. 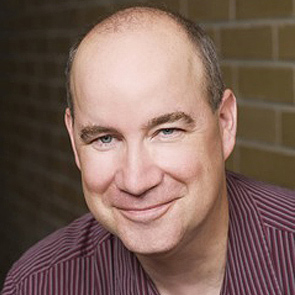 Leslie has also performed and directed for a number of other professional theatres including the National Arts Centre, the Citadel Theatre, Theatre Calgary, and the Gateway Theatre. He has had ten of his adaptations and plays produced professionally at theatre companies across the country, and has overseen the development of dozens of new works. He is a graduate of the University of Alberta B.F.A. Conservatory Acting program, holds both his Instructor and Performer certification (A.R.C.T.) in Speech Arts and Drama with the Royal Conservatory of Music (University of Toronto), and received his M.F.A. in Directing from the University of Victoria. In addition to lecturing on his activities in both New York and Washington D.C., he has taught at Concordia University in Montreal, the University of Miami and the Canadian College for Film and Acting. He is currently a Continuing Sessional Instructor with the University of Victoria. Barbara has served in many production management roles on a number of projects including Production Supervisor on the Telus/ APTN documentary Dust n’ Bones; Production Manager and Art Director for The Wine Guys: Grape Escapes which was filmed in Italy and Spain; was a Production Coordinator for the Super Channel feature film Gone South: How Canada Invented Hollywood and the Telus sitcom series Ollie and Emma; and was the Assistant to the Producer for the APTN TV series She Kills Me. Barbara is the creator of a number of projects in development including the documentary series Eat, Grow, Love, and the situation comedy Designer Living. She has an extensive background in interior decorating and visual arts, having worked as a design consultant and product buyer with some of Canada’s top retailers. 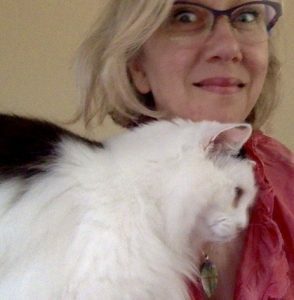 Barbara studied art history, drawing, painting, sculpting, and graphic design at Central Technical School of Art in Toronto, drawing at the Victoria College of Art, and is a certified lighting specialist with the American Lighting Association. Barbara is a dedicated organic gardener with a passion for growing vegetables, herbs and indigenous plants.